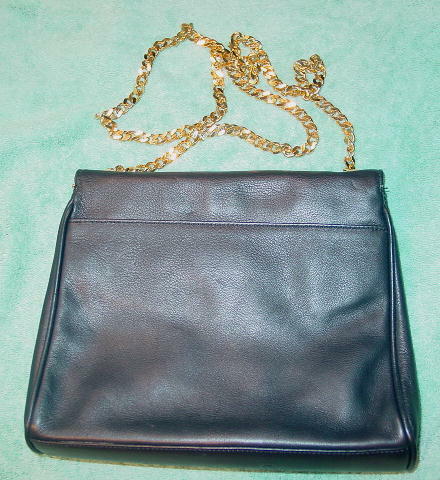 This black leather purse has a bright gold-tone link 38" by 3/8" shoulder strap which matches the gold-tone X on the front flap. Under the front flap is a magnetic snap closure. 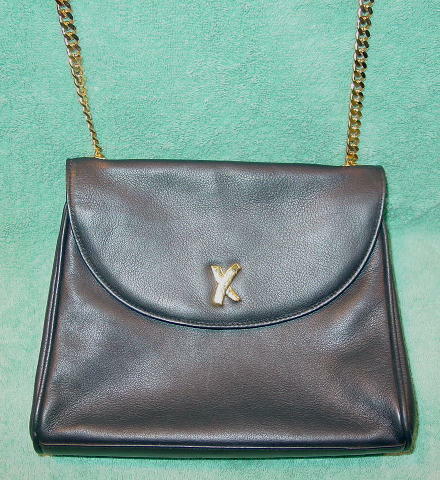 The interior has a thick black tone-on-tone fabric lining with X's and By Paloma Picasso all over it. 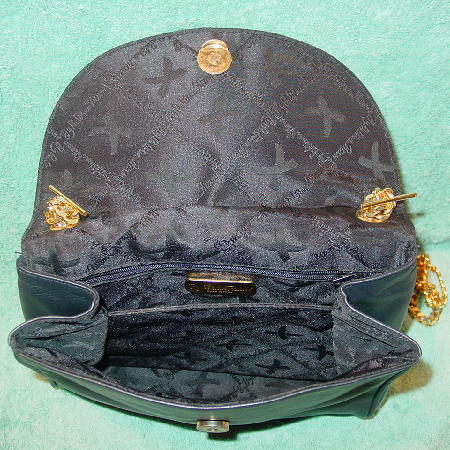 There are two open interior sections and an interior back deep zippered pocket with a metal gold-tone logo tag on its front. The back exterior has an open lined 3/4 compartment. By Paloma Picasso is etched on the bottom. There is a scuff mark in the front below the flap.